*This post was originally published on 8/11/2014. It has been updated and edited on 5/10/2017. What happened? 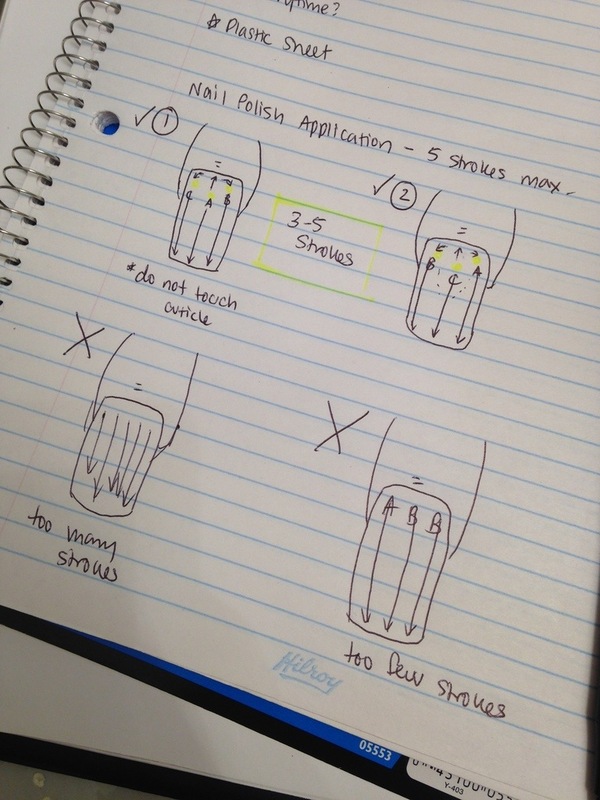 Oh yes, nail polish application – the proper way. I personally like option 1 (starting in the middle), but option 2 is acceptable too. 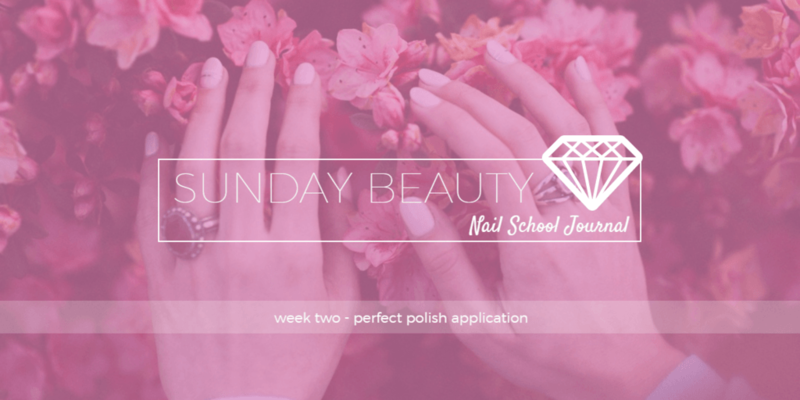 Each layer of polish should be completed in three to five strokes, and usually, only two coats of coloured polish is needed. The bottom two options are no good. A little bit scratched up because we wanted to clean up quickly to go to lunch and the polish wasn’t completely dried yet (was so hangry), but otherwise pretty good. I haven’t worn red in a really long time. Should I keep it on for the rest of the week? What do you guys think? Today’s class (Sunday) was all about hand massage, which I was pretty happy about because we spent most of the day trying out our new skills on each other. A great way to relax before a new week begins. Previous Post Week 1 – Expectations Next Post Week 3 – Why Don’t You Try Oval?